Abigail Holst, an Emory Scholar who won a 2016 Fulbright to teach English in Taiwan, was recently selected as the winner of the Outstanding Fulbright English Teaching Assistant Performance Award. This year, a dozen Emory students will travel across the globe to conduct research or teach English through Fulbright grants. Emory undergraduates, including those in nursing and business, and recent undergraduate alumni who are interested in applying for future Fulbright awards can read up on the process here. Information about applying for Fulbrights through Laney Graduate School is listed here. Emory University will send a dozen students and recent graduates across the globe in the coming year as part of the 2017 Fulbright U.S. Student Program. They are among about 8,000 recipients nationwide for the flagship international exchange program sponsored by the U.S. government. Winners for the award, named after the late Sen. J. William Fulbright, are selected on the basis of academic or professional achievement, as well as demonstrated leadership potential in their fields. This year, 29 undergraduate students and recent graduates applied for the prestigious program through Emory College of Arts and Sciences and 12 masters and PhD students applied through Laney Graduate School. Of those applicants, 12 students who applied through Emory College and five who applied through Laney were named semi-finalists. A total of 13 Emory students — eight who applied through Emory College and five through Laney — were selected to receive Fulbright grants, but one Laney student has declined the award after receiving another fellowship. “We were excited to work with several Fulbright applicants from the business school this year, and our finalists represent a really stunning diversity of backgrounds, experiences and academic disciplines,” says Megan Friddle, director of Emory’s National Scholarships and Fellowships Program. “The common quality in each of these finalists is an ability to articulate not only the impact that the Fulbright experience will have on each of them as individuals, but also the impact they hope to have through their work — as researchers, teachers and volunteers — in their host communities,” she adds. James Hughes, director of advanced student fellowships at Laney Graduate School, notes that the school is committed to students' professional development, including emphasis on developing and nurturing grant-writing skills. Kathy Trang, who is pursuing a doctorate in anthropology, was awarded a Fulbright to conduct research in Vietnam, but has declined it in order to accept an NIH-Fogarty Global Health Fellowship. 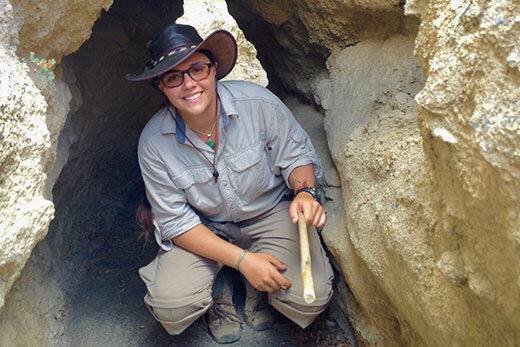 Haigh, who also earned a master of theological studies degree from Candler in 2016, will spend her Fulbright year at Hebrew University in Jerusalem studying the War Scroll, one of the first Dead Sea Scroll manuscripts to be discovered in 1947 in caves around Khirbet Qumran, the location of a religious sect that coexisted alongside early Christianity. Haigh’s project, "Desert Drama: The War Scroll as a Performance Text," will draw on the field of performance studies through orality and textual analysis to consider how the scroll’s disparate elements — made up of ritual, descriptive, narrative and liturgical material — might be holistically understood. “My project will hopefully lay the groundwork for further research on the performativity of Dead Sea Scroll texts and expand the ways we might imagine these texts functioning, as well as shaping the community’s sense of identity,” she says. Two of the winners who applied through Emory College – Thomas “Hugh” McGlade and Morika Hensley – will also conduct research abroad through Fulbright Study/Research grants, which required they design a proposal for research or coursework in a specific country. McGlade, a Connecticut native who graduated with highest honors in May with a degree in history and international studies, is headed to Brazil. His Fulbright will allow for further research from his honors thesis investigating the U.S.-Brazilian hunger alleviation program that operated in Brazil during World War II. McGlade, an IDEAS Fellow and undergraduate fellow at the Fox Center for Humanistic Inquiry during his undergraduate tenure, will also enroll as a graduate student in history at the Fundação Getúlio Vargas (FGV) in Rio de Janeiro. He plans to complete two courses and produce a manuscript of a journal article on his work. Hensley is the first student to graduate from Emory’s new BS/MS program in environmental sciences. She completed her bachelor’s degree in 2016 and earned her master’s degree in May, completing a thesis on the patterns of conflict and coexistence between agro-pastoralists and snow leopards in Ladakh, India. The winner of the 2014 Excellence in Tibetan Award, Hensley will use her Fulbright to examine the relationship between sacred art images (especially in monastic wall paintings) and environmental awareness and engagement in Tibetan Buddhist communities in India. This project also gives the New Mexico native the opportunity to explore intersections of religious philosophy and ecology/conservation biology, disconnects between cultural classification systems, and the place of subjectivity in research. “I first decided to come to Emory in large part because of the Emory-Tibet Partnership and the many learning opportunities it offered. In short, Emory has been absolutely central in this journey, and will continue to be,” says Hensley, who plans to remain involved in the Emory-Tibet Science Initiative and similar programs that emphasize an interdisciplinary approach to science and religious philosophy following her Fulbright. Morika Hensley, shown here on a previous research trip to Ladakh, India, will use her Fulbright to examine the relationship between sacred art images and environmental awareness and engagement in Tibetan Buddhist communities in India. The remaining students who applied for Fulbrights through Emory College will work in the Fulbright English Teaching Assistantship, which places them in schools overseas to supplement local English language instruction and to provide a native speaker in classrooms. Isabelle Saldana, 17C with highest honors in interdisciplinary studies in society and culture, will teach in India. Hesse, a native of suburban Atlanta who served as co-director of Camp Kesem Emory and won the Sprachpreis for German Language Acquisition, will teach at the elementary level during her Fulbright. She hopes to instill the same passion for acquiring a new language that she gained at Emory, where studying abroad in Vienna gave her a new appreciation for the German language and tutoring in German revealed a talent for teaching. But she also is interested in research. “I look forward to learning more about how Germany handles the influx of immigrants and refugees it has had coming in since 2015 and I look forward to doing my part by working with organizations that deal with the issues of a seamless entrance into a new culture, society and language,” Hesse says. Future plans include applying that knowledge in a public health or anthropology program in Germany or the United States, she adds. “I am honored to be a Fulbright scholar, and I know that the investments my professors, parents and friends put in me have helped me to get where I am,” she says. Meanwhile, an Emory Scholar who won a 2016 Fulbright to teach English in Taiwan was recently selected as the winner of the Outstanding Fulbright English Teaching Assistant Performance Award. 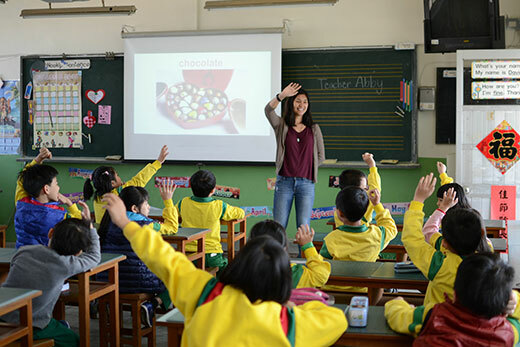 Abigail Holst, who graduated in 2016 with high honors in Chinese and a double major in human health, was recognized for her exemplary service outside the classroom as well as her work with more than 500 first-grade through sixth-grade students at two elementary schools in Taichung. The Fulbright Foundation for Scholarly Exchange honored Holst based on classroom observations, biweekly reports, participation in teaching workshops and Fulbright events and community service. Holst, a Dean’s Achievement Scholar who received multiple fellowships and an independent research grant during her undergraduate tenure, completed her Fulbright term at the end of June.